Due to the increasing demand for electric vehicles, the value of cobalt has grown exponentially in recent years and the market is eager to find cobalt production outside of the Democratic Republic of Congo (DRC). As discussed in the Investing News Network’s December 3rd, 2018 article, the fact that most of the world’s global cobalt production comes from the Katanga region in the highly volatile DRC, a hot spot in the global call for conflict-free minerals, poses a challenge for the burgeoning electric vehicle industry. 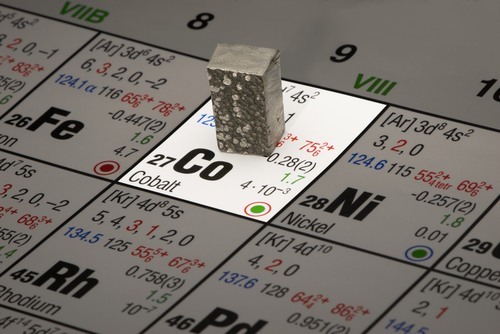 Spurred by the dramatically rising price of battery materials, some large-scale cell manufacturers have begun to study alternative cathode formulas that use more nickel and less cobalt. However, cobalt is essential for optimal performance and isn’t likely to disappear from lithium-ion battery formulations any time soon. While cobalt production in the United States is quite low (about 650 tonnes in 2017), it does host roughly 1 million tonnes in identified cobalt resources. In May 2018, the USGS and the US Department of the Interior classified important battery metals like lithium, graphite and cobalt as among the 35 minerals most critical to the country’s economy and national security. To read the full Investing News Network article, click here.